Scott Ybarrondo will be sworn in as California State University San Marcos’ new police chief during a ceremony at 8 a.m. on Tuesday, June 20. Lt. Jesus Flores, who had been serving as CSUSM’s interim police chief, will conduct the swearing-in ceremony. Ybarrondo’s wife, Esther, will pin on his badge. Ybarrondo previously worked for the San Diego Sheriff’s Department for more than 26 years, including the past five as a captain. During his tenure with the Sheriff’s Department, Ybarrondo was assigned to numerous areas, including detentions, patrol, community policing, training, background investigations, internal affairs, crisis negotiations and special investigations. As a captain, his assignment included overseeing law enforcement operations in the City of San Marcos and leading the department’s Emergency Services Division. Ybarrondo earned his Bachelor’s Degree in business management from the University of Phoenix and is also a graduate of the FBI National Academy. 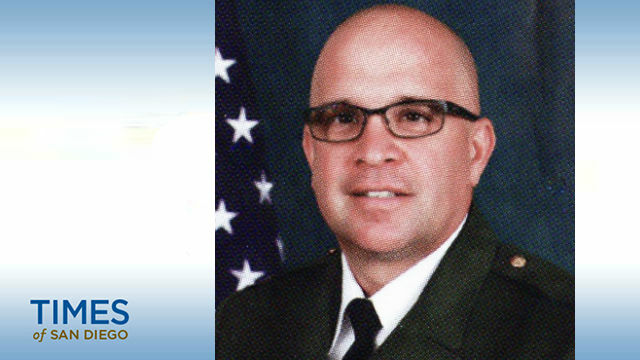 He is an instructor for the San Diego Regional Training Center and an adjunct instructor for Miramar College, teaching law enforcement courses.